It&apos;s 5:00 p.m. I need to get something in my room. When I got in to my room, I saw Chris and Darren looking in my closet. “What are you doing here?" I asked. They are surprised. 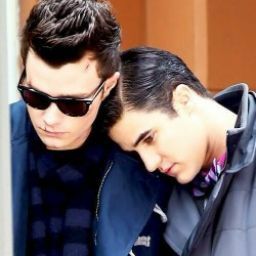 “We are just checking around," Darren said. Then I ignored them and find what I need to find. “Are you looking for this? "Chris asked.“Yes!" I shouted.“You didn&apos;t tell me that you are a writer," Chris said.“This notebook is full of wonderful stories,"Darren said.“This is embarrassing," I said. “You shouldn&apos;t be embarrass, you should be proud," Chris said.“What do you think?" I asked.“It was great. 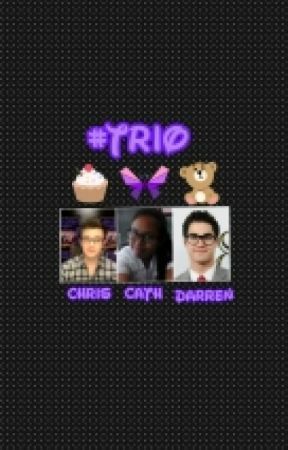 I like The Lost Princess," Chris said.“Chris someone is calling,"Darren said.“It&apos;s your cousin. Excuse me,"Chris said. KC: Hi! I have a bad news. I can&apos;t make it there. I will go there tomorrow but you can leave her. She can handle it on her own. Me: I insist. We should stay here. Can we? KC: Of course. Why not? I think she will enjoy it. Me: I know. What time can you return? KC: I think lunch tomorrow. Sorry. Me: I really like it. I think she needs many sessions for counseling. KC: She really needs it. I&apos;ve heard that you&apos;ve had your first. Me: Yeah. She was really honest. Me: Is she hiding something? KC: You should not ask it in front of her coz she will totally freak out. She will be very happy with my news. I got tell it first to Darren. “Darren," I said. Then he followed me.“Her cousin can&apos;t make tonight," I said.“She will be alone for the night," Darren said.“I guess we should stay here for tonight," I said.“I was thinking the same thing," Darren said.